Ask 10 engineers working in Food & Beverage manufacturing what “washdown” means to them and you will probably get about 12 answers. Ask them why they wash down equipment and a more consistent answer appears, everyone is concerned about making clean healthy food and they want to reduce areas of harborage for bacteria. These environments tend to be cool & wet which usually leads the engineers to ask for 316L stainless steel & ingress protection of IP69K from component manufacturers and also ask for special component ratings. So what are the basic elements of the washdown procedure? Hot! – Minimum 140F to kill microbes & bacteria. High Pressure! – Up to 1000psi to blast away soiled material. Nasty! – Water, caustics, acid detergents, spray & foam everywhere. Hard Work! – Typically includes a hand cleaning or scrubbing of key components. Regular! 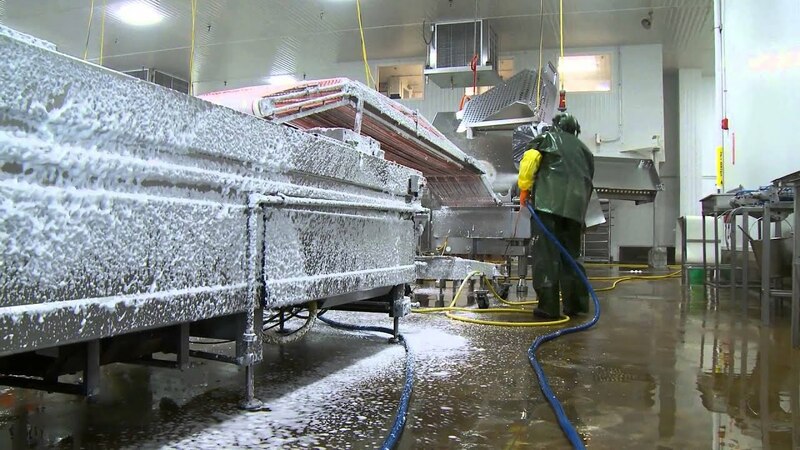 – Typically 15-20hrs per week are spent cleaning equipment but in dairy & meat it can be more. What requirements are put onto components exposed to washdown? Stainless Steel resists corrosion and is polished to level the microscopic roughness that provides harborage for bacteria. IP69K is tested to be protected from high pressure steam cleaning per DIN40050 part 9; this is not guaranteed to be immersion rated (IP67) unless specifically identified. If you are interested in what sensors, networking & RFID products are available for use in food and beverage manufacturing with a washdown environment, please visit www.balluff.us. various approvals. So what do they all mean? If a sensor is an IP69K rated sensor does that mean it will survive everything? In the world of sensors there is IP54, IP67, IP68 and IP69 so if my sensor is IP69K that means it is the best right? The short answer is no. Let’s take a brief look at the differences.